The UN Security Council is set to convene in an emergency meeting on Ukraine early on Friday as warring parties in this conflict-torn country are trading blame for the alleged downing of a Malaysian airliner. 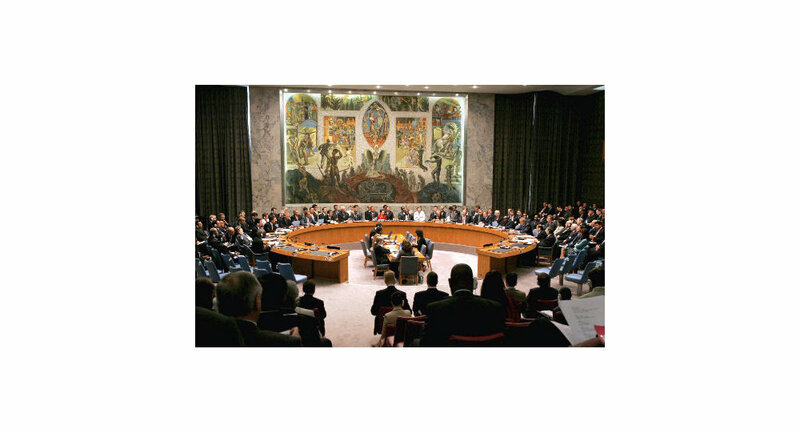 UNITED NATIONS, July 18 (RIA Novosti) – The UN Security Council is set to convene in an emergency meeting on Ukraine early on Friday as warring parties in this conflict-torn country are trading blame for the alleged downing of a Malaysian airliner. The press service of Britain’s UN Mission told RIA Novosti on Friday that the meeting was scheduled for 10:00 a.m. local time (14:00 GMT). UN Under-Secretary-General for Political Affairs Jeffrey Feltman is to brief the council members. Earlier on Thursday, Mark Lyall Grant, the United Kingdom's ambassador to the United Nations, told reporters that London was planning to call for an emergency session focused on Ukraine prior to the reports on the Boeing-777 crash. “It has not been raised in the Council but we had already been planning to ask for an emergency session of the Council to discuss the situation in Ukraine even before we heard the news and it just makes the session even more urgent,” Grant said. Head of the EU diplomacy Catherine Ashton said earlier today the crash was “another stark illustration of why it is so urgent to bring this conflict to an end.” She called on conflicting sides to “stop the senseless loss of life in Eastern Ukraine” and enter talks on a ceasefire. Ashton’s words echoed those of Russian President Vladimir Putin who said nothing of this would have happened if Kiev didn’t re-launch its deadly military campaign against resistance forces in southeastern Ukraine. “This tragedy would have never happened if there were peace in that country, if military actions in Ukraine’s southeast had not been resumed,” he stressed. The passenger plane came down as it flew in the permitted airspace corridor that was not subject to Ukraine’s restrictions, imposed in the regions after the conflict in the east spiraled out of control. Conflicting reports on the status of the air zone above the Donetsk region were coming on Thursday as Brussels-based Eurocontrol announced the airliner followed a route above the area closed by the country's authorities prior to the accident. The flight route was declared safe by both the International Civil Aviation Organization and the International Air Transportation Association. But Ukraine’s state-run air traffic operator Ukraerorukh said earlier in July the airspace was closed over security concerns. The operator now says the accident will be investigated by leading international experts.